Michigan state Rep. Bettie Cook Scott (D.) apologized Thursday for a series of racist insults she used about election opponent Stephanie Chang (D.), who also serves in the state's House of Representatives. More than a dozen community groups criticized Scott for calling Chang, a Taiwanese American, "ching-chong" and telling black voters they ought to be "supporting their own people," the Detroit Metro Times reported. Chang and Scott both represent parts of Detroit and ran against each other in the August 7 Democratic primary for a state senator position, which Chang won. Scott called Chang "ching-chang" and "the ching-chong" outside voting polling precincts during the election last week. 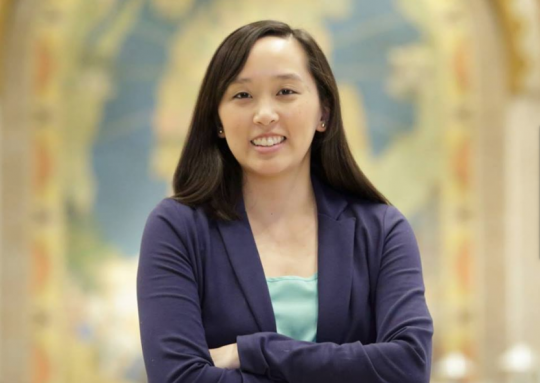 She also argued with Chang's husband, Sean Gray, and told an immigrant working for Chang’s campaign, "you don’t belong here" and "I want you out of my country." On Thursday Scott issued a statement of apology through her lawyer Bill Noakes. "Those are not the kinds of comments that should be made nor are they the kind of comments I would normally make," Scott said in her statement. "I humbly apologize to Rep. Chang and to her husband, Mr. Gray, and to the broader Asian American community." Gray, who is black, said he confronted Chang outside a polling place last week about her insults toward his wife. "I … asked her not to speak about my wife in that manner. At that time she said to the voter that ‘these immigrants from China are coming over and taking our community from us.' Further, she said it ‘disgusts her seeing black people holding signs for these Asians and not supporting their own people,'" Gray said. Scott told Chang’s campaign staff that she called Chang’s volunteers "ching-chongs." "I called them ching-chongs. That’s what they are!" Scott said. Scott received the endorsement of Detroit Mayor Mike Duggan in her failed bid to be elected to the Michigan Senate. Perhaps surprisingly, Scott has not faced widespread calls to resign. By winning the state senate primary in Detroit, Chang is presumed to win the seat easily. This entry was posted in Politics and tagged Michigan, Racism. Bookmark the permalink.